Keeping all your 4x4 accessories and/or general ‘bits n pieces’ securely located within your car makes perfect sense, both from an ease of access point of view and more importantly from a safety aspect. The Wetseat Organiser provides the solution! 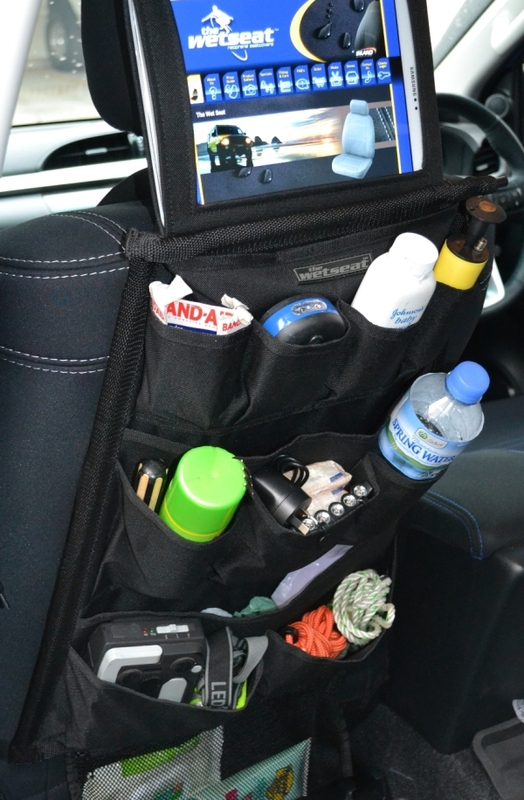 Offering 12 individual pockets, plus a tablet holder and integrated mesh bag, just like our Wetseat seat covers we have you covered! The Wetseat Organiser isn’t just designed to keep 4x4 accessories organised however, it is also perfect for securely storing baby items such as wipes, talcum powder, tissues, creams etc. Or perhaps your little one/s just have to travel with all their toys, The Wetseat Organiser will easily house these items and many more! 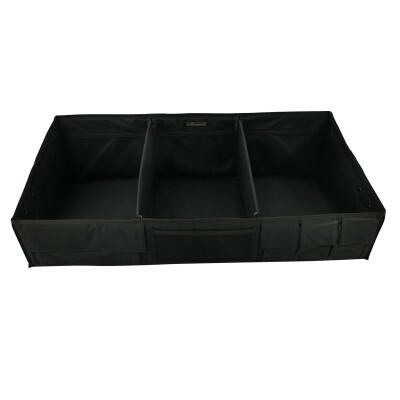 Designed to be easily attached and removed within seconds from either the front or back of your seats, it is the perfect storage solution for your vehicle. Designed to be tough, yet light weight, with an internal frame that prevents sagging & distortion even when full, the Wetseat Organiser is the perfect travel companion. 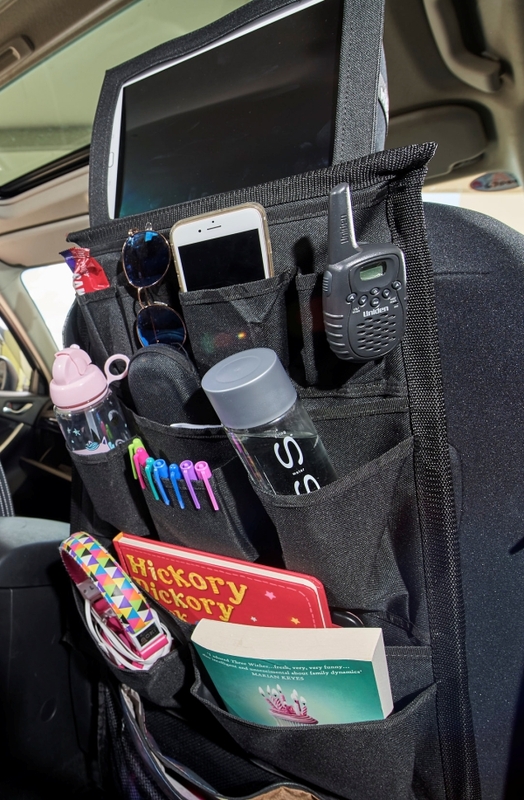 Please note: The stowaway tablet holder is designed for a 10" tabet, cambuckle straps are included to prevent the screen from movement, these straps wrap around the headrests.